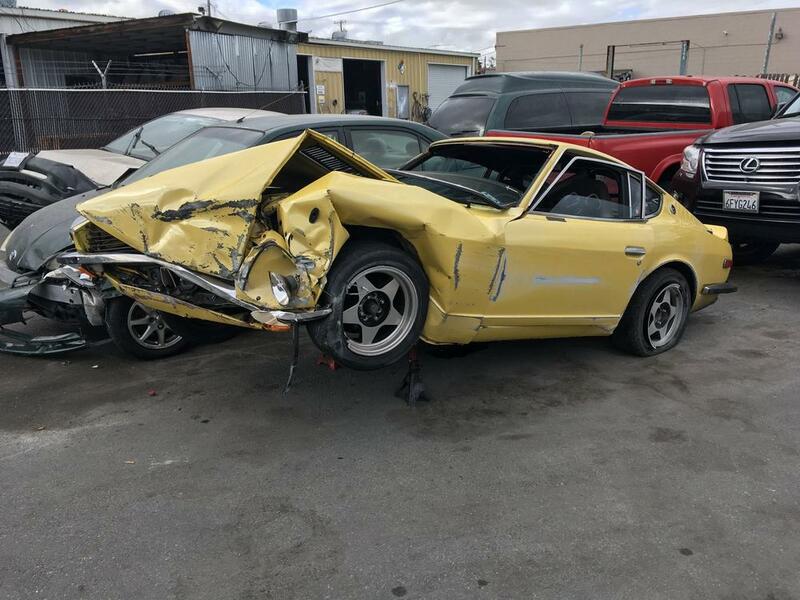 I got in an accident about a month ago, and my '71 240Z was totaled (pic attached). I just [finally] got my insurance payout, and am in the market for a new car. I would really really like a RHD 240Z. I'm realy into Datsuns, long time enthusiast, worked at a Z shop in school, and really put a lot of effort and love into my Z. The car will be both brought to car shows / meets and autocrossed and raced / track days at Leguna Seca. I was driving the yellow one around at the last Car Week in Monterrey and turned a LOT of heads- I can only imagine what a RHD would do. Would love to find a project- I care about a straight body, clean frame, clean title, and low rust. Don't really care about the paint, motors, transmission, diff, seats or door panels. Hopefully someone can help a fellow out! There's one in Los Angeles but it's priced high. Here’s a left field idea. 240z in RHD command very high prices now. You can still find good better condition 240z in the US. Why not buy the RHD bits to need to convert a LHD? You’ll need loom, dash, peddle box, rack and get a good body guy to fabricate a firewall. Heater box too, transpose the heater chimney. ive got a 73 half cut but firewall is Swiss cheese. All the bits you need.